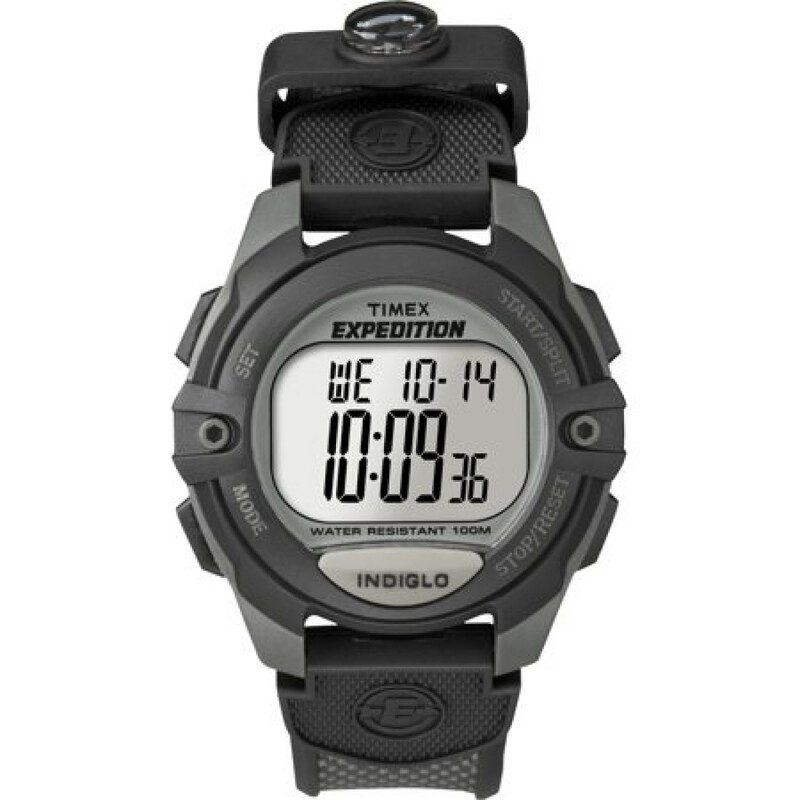 Strap dimensions 12mm x 8\"
Requires 1 CR2016 battery (included)"
Designed for active, outdoor lifestyles as well as the rigors of harsh urban landscapes the full-sized Timex Expedition digital watch adds a stylish, yet rugged complement to your everyday wear. 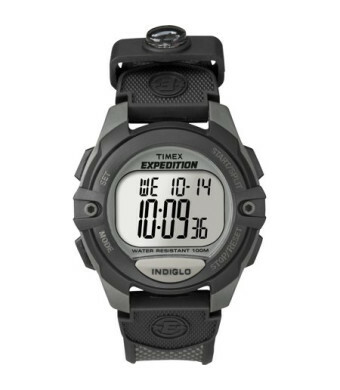 It features a large, round resin watchcase with a dark gray top ring and a durable resin strap with buckle fastener. 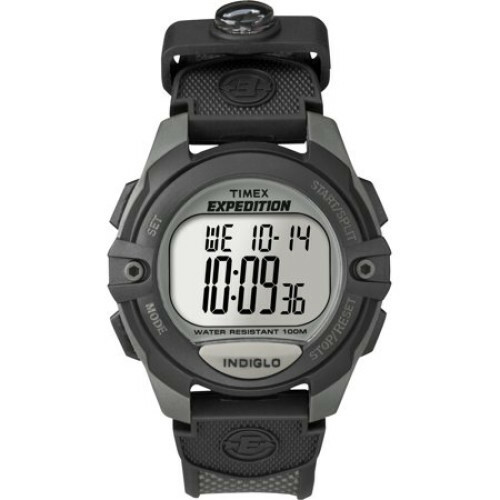 Timing features include a 100-hour chronograph with lap or split options, 99-lap counter, 24-hour countdown timer and second time zone with date. It also offers three alarms with daily, weekday and weekend options and water resistance to 100 meters (330 feet).